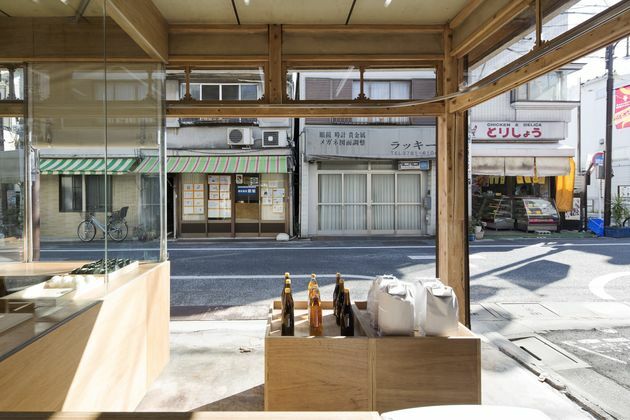 Schemata Architects chief Jo Nagasaka believes Tokyo’s retail design must embrace the post-consumer age. 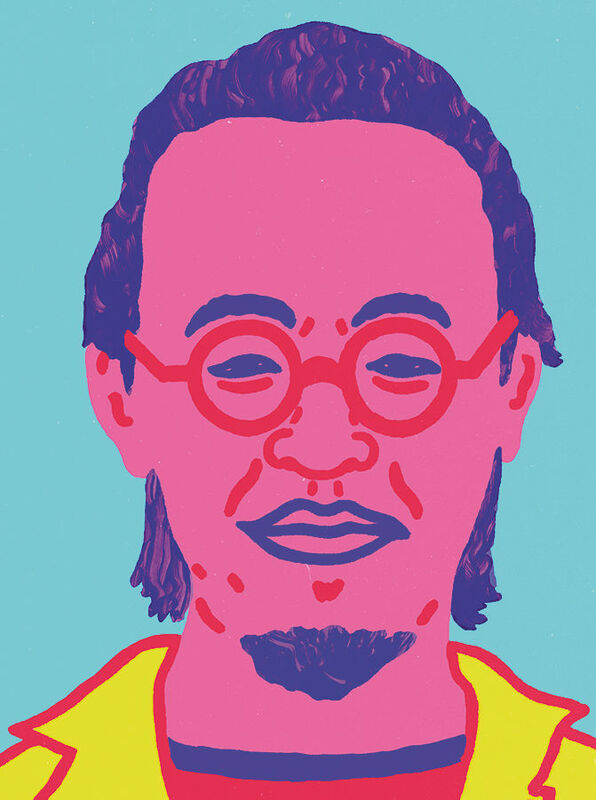 Jo Nagasaka, how did you get your start in retail design? 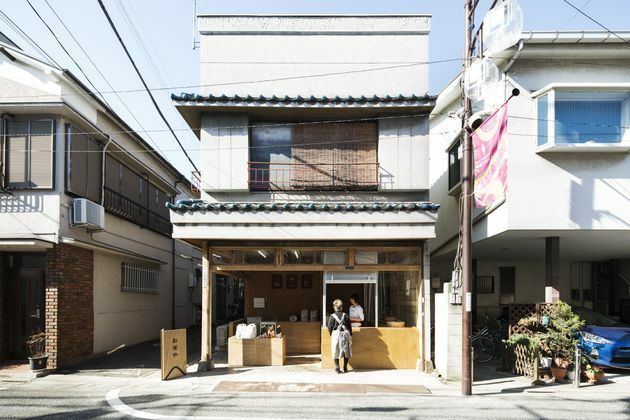 It was late in 2010, when I designed Aesop’s first store in Tokyo. It wasn’t a big project. I exploited the building’s original concrete structure and did the interior using 100-year-old wood from a demolished house and hardly any new material. I also placed the office for Aesop staff next door, divided from the store by a simple glass partition, triggering shoppers’ curiosity and making the space dynamic. That Aesop store was the beginning. Other shop owners saw it and liked my attitude, and from then on my retail commissions increased. Before this, my work had been mainly on small residential projects. I didn’t change my style however – it was the clients, the brand owners, who changed their ideas about retail, I think partly due to the triple disaster in Japan in 2011. "I want customers to feel they are not obliged to shop." How exactly have shops changed since those events? I feel they are becoming less opulent and pristine. Today’s customers are attracted by spaces that are low-key, not flashy but honest. By which I mean, not immaculately designed to every last detail, which can actually keep customers from entering a shop. It’s now more about giving customers a space to browse on their own as they wander around the shop. These days, consumers are well informed about style and know what they like, so they are more comfortable searching on their own. And I think this trend was reinforced after what happened in 2011, when the triple disaster traumatized the whole country. Everyone’s mind-set changed. While before there were lots of people who equated ‘luxury’ with expensive materials and pristine, glossy spaces, afterwards I think many of us started to value different things. Honesty for me means the core things in life that have eternal value. Over the past five years, there has been this honest mood, and both retailers and consumers have started to share these values. What’s the most important ingredient in a good retail space? Creating a situation in which shoppers can browse around on their own, without being too much taken care of by the shop staff. When I designed the interior of the shop Cabane de Zucca in Daikanyama, I incorporated an event space that can be used as a gallery. I want customers to feel they are not obliged to shop. People feel more at ease when they step into a shop where there is room to hide from the act of buying. I personally feel this way when I enter a shop. If there are only clothes in the shop and if the space is perfectly designed using expensive materials, I just can’t go in. You need courage just to set foot inside! In the age when shopping is so much easier thanks to the internet, the physical space should allow customers to physically move about. 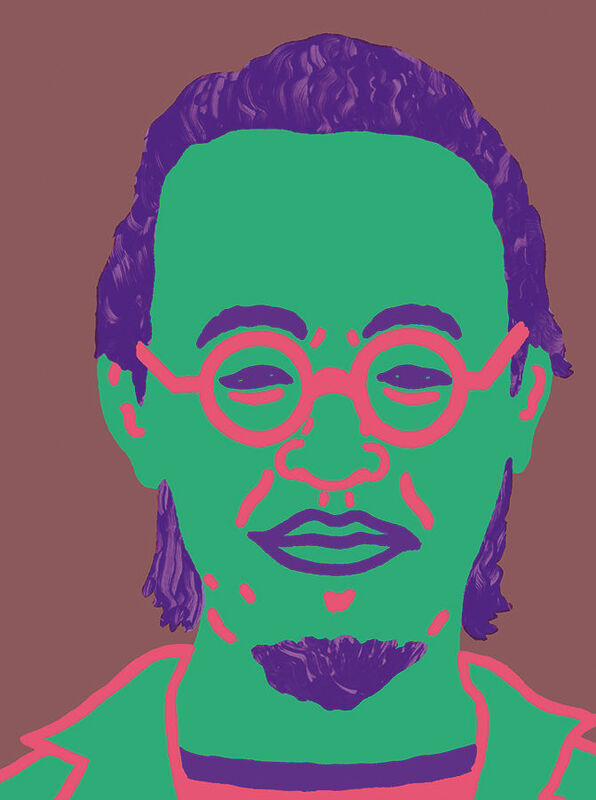 For example, I designed Japanese fashion designer Takeo Kikuchi’s flagship store and atelier in 2012. 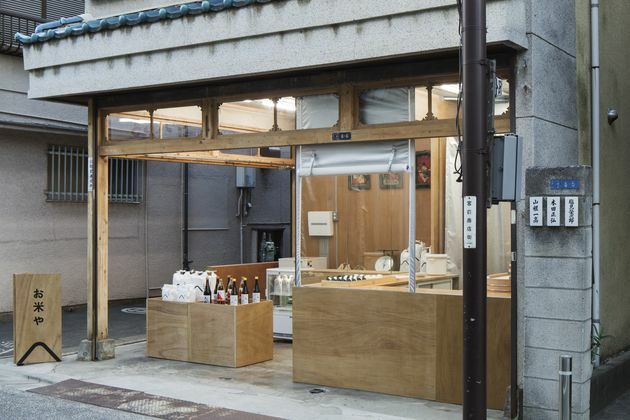 The client’s brief was to have Kikuchi’s atelier on the top floor, with the retail areas below. But I thought it would be a shame if people visit the store and can’t glimpse the 75-year-old designer at work. So I put the designer’s atelier on the first floor, next to the shop and fitting-rooms. Customers find it really exciting to see the designer at work, and this can only happen in real retail space. You need to create energy in the space. What do you make of the trend for high-end fashion labels to open showroom-like stores in Aoyama? I think it’s okay for a store to function as a showcase. People go to the real shop to see and feel the clothes first hand, confirming what they want to buy. Then those people may buy it online, because it is convenient in terms of delivery, or the money transaction is simpler. Apple is a good example. Its enormous Omotesando store is more about physically touching the newest device, trying it out, or asking the Apple staff for technical help, rather than about actual buying. Most people buy their new iMac online, don’t they? I am not very fond of shopping, I get nervous. I think I have bought most of my stuff at Lolo in Nakameguro for the past ten years. I also like a small bookshop and gallery called Post in Ebisu. Their selection is unique and I like to browse. Also, its unpretentious interior makes me feel comfortable. 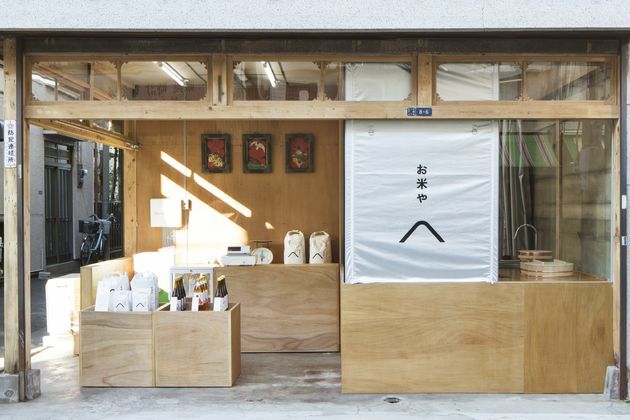 How would you sum up Tokyo retail design now? Tokyo has many layers. It’s a city to suit everyone’s taste. If you’re wealthy and want to enjoy luxury, you can go to opulent, jaw-dropping places with an exclusive atmosphere. 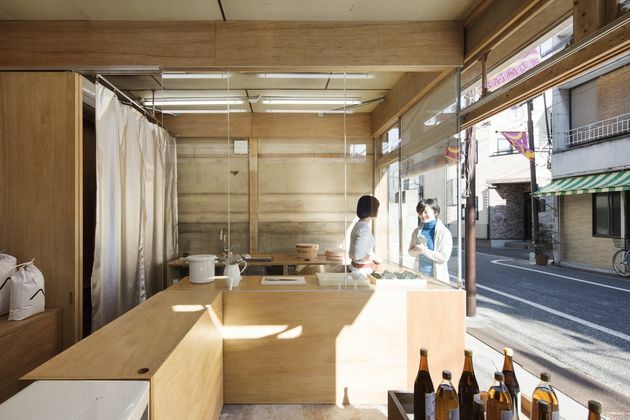 On the other hand, there are places that are so much part of the community, like the small rice store I designed in 2014. It is no more than 17 m2. 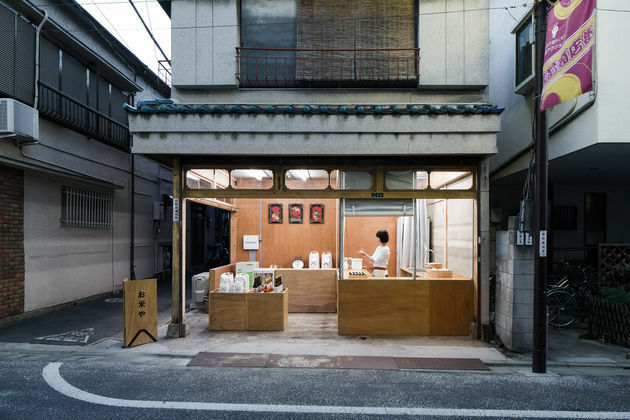 The rice shop is located in an area where there used to be an array of small retailers specializing in a single item: a vegetable seller, a butcher, a baker. These types of stores selling one item or service were common in residential areas in the past. However, with supermarkets now selling wholesome items and services, these microbusinesses have disappeared. My design for the rice shop is to make the locals ‘take part’. I intentionally designed the structure of the rice shop to be open, so that people in that same community will be able to keep an eye on the business if necessary. It’s always obvious what’s happening inside.